Account management is a crucial and tedious financial activity for any institution. The Cybrain Software Solutions Accounting Manager offers a quick and efficient solution for managing accounts. Some of its features include debit and credit (payment and note), bank withdrawal and deposits, daybooks, petty cash book, ledgers, online bookkeeping just to name but a few. It allows institutions to oversee all financial activities and keep track details such as student billing along with employee and school expenses. The Cybrain Software Solutions Accounting Manager module allows a broad management of accounts without the tedious voucher posting. The seamless integration with our Fees Manager Module allows school administration to automatically manage fees posting into specific accounts heads. With a single click, you get access to entire reports such as balance sheet, cash book, bank details, Income and Expenditure, ledger, Trial Balance etc. Our advanced Accounting Manager software automates the management of accounts making it less tedious to maintain daily financial tasks. It provides users with a bird's view of the school finances and resources ensuring their proper utilization. There Accounting Manager has numerous modules for every school department that enhance the functionality of the institution. The Cybrain Software Solution Accounting Manager is fully compliant with the ICAI Accounting Standards and state regulations such as The Income Tax and The Companies Act. 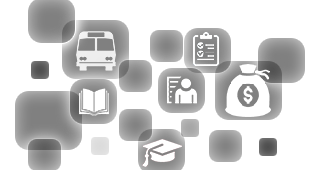 Keep track of the various fees for tuition, examination, transport, food, hostel, computer, activity etc. for every individual student. Automatically generate reports of received and due fees for each student. Our system is fully integrated with the Asset Manager module for easy management of fixed assets. Financial health is at the heart of the success of every institution. Contact us today for a demo and find out how to maintain school accounts efficiently and effortlessly.